This poem has always felt like a personal anthem. I was reminded of the poem tonight when browsing a recent issue of Saveur, which bastardized the poem a bit to come up with the following quote: "One should always be drunk. That's the great thing...Drunk with what? With wine, with poetry, or with virtue, as you please. Bet get drunk." 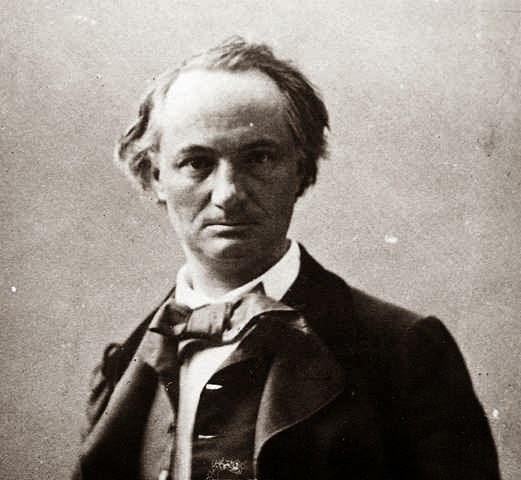 There's many different versions of this poem online, but I prefer the poets.org version, which maintains the integrity of Baudelaire's prose poem. You have to be always drunk. That's all there is to it—it's the only way. So as not to feel the horrible burden of time that breaks your back and bends you to the earth, you have to be continually drunk. But on what? Wine, poetry or virtue, as you wish. But be drunk. And if sometimes, on the steps of a palace or the green grass of a ditch, in the mournful solitude of your room, you wake again, drunkenness already diminishing or gone, ask the wind, the wave, the star, the bird, the clock, everything that is flying, everything that is groaning, everything that is rolling, everything that is singing, everything that is speaking. . .ask what time it is and wind, wave, star, bird, clock will answer you: "It is time to be drunk! So as not to be the martyred slaves of time, be drunk, be continually drunk! On wine, on poetry or on virtue as you wish."